When you or a loved one is suffering from depression, it’s normal to feel exhausted and helpless. Depression robs you of your interest in the things that once brought you pleasure or happiness. You may be feeling like it’s impossible to care about anything at all. Depression can make almost any task feel insurmountable – including the task of finding the treatment that is right for you. But there are options; there is help. You CAN feel better. Your depression treatment should be tailored to fit your own unique preferences and needs. Many people benefit from cognitive behavioral therapy sessions, and your doctor may recommend antidepressant drugs. It’s important to know that these are not your only options. You don’t have to accept the risk of addiction, dangerous side effects, and withdrawal that comes along with prescription drugs. You don’t have to settle for anything less than the best. Alpha-Stim® is a fast, safe, and effective way to treat your depression – without the side effects of drugs. Get back to living your life to its fullest. There is life without depression, and we can help you get there. 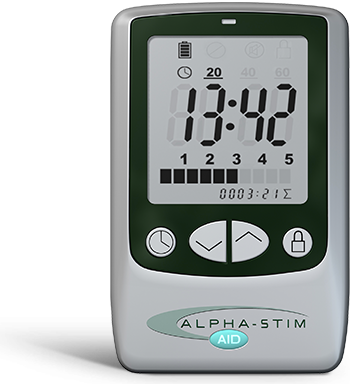 The Alpha-Stim® AID is a small, FDA cleared, prescription device that uses Cranial Electrotherapy Stimulation (CES) to alleviate depression. The technology is based on an exclusive patented waveform that’s the most researched and proven of its kind in CES devices. The waveform passes between two electrodes that you clip on to your earlobes, providing depression treatment without the use of medication by sending a signal to your brain. You are able to set the power level to fit your comfort and many are not able to feel the electrical current at all. Treatment can be done in the comfort of your own home or while at work and takes just 20 minutes to an hour per day. 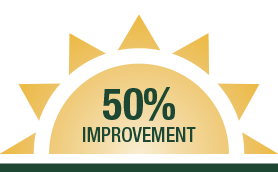 Over time, you can decrease treatments to every other day, then 2-3 times per week. Sadness affects everyone from time to time. The differences between sadness and depression involve duration and intensity. Depression means intense sadness – including helplessness, hopelessness, and worthlessness – that lasts for several days to weeks. All of these can lead to serious consequences. Only a licensed professional can diagnose depression. It’s also important to remember that many of the symptoms can be invisible to others. Many doctors use the symptom criteria for major depressive disorder in the Diagnostic and Statistical Manual of Mental Disorders (DSM-5), published by the American Psychiatric Association. You must be experiencing five or more symptoms during the same 2-week period and at least one of the symptoms should be either (1) depressed mood or (2) loss of interest or pleasure. Are there depression risk factors to look for? Are there depression risk factors I should look for? A personal or family history of depression can be a risk factor, as are major life changes, trauma, or stress; and certain physical illnesses or medications, according to the National Institute of Mental Health (NIMH). What are the forms of depression? Major depression is a state where a dark mood is all-consuming and one loses interest in activities, even ones that are pleasurable. It is also known as major depressive disorder or clinical depression. Persistent depressive disorder refers to low mood that has lasted for at least two years but may not reach the intensity of major depression. Many people with this depression type can function day to day, but are low or joyless much of the time. People with bipolar disorder alternate between episodes of depression and periods of high energy or activity. 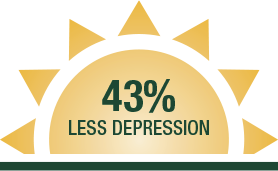 Seasonal affective disorder (SAD) comes when the days get shorter in the fall and winter. Alterations in the body’s natural daily rhythms, the eyes’ sensitivity to light, or in how chemical messengers like serotonin and melatonin function can all be causes. There are two types of depression that only affect women, associated with reproductive hormones. Perinatal depression, also known as postpartum depression, is when depressive episodes occur during pregnancy or in the first year after delivery. It affects up to one in seven women who give birth and can have devastating effects on the women, their infants, and their families. PMDD is a severe form of premenstrual syndrome, or PMS. According to the Mayo Clinic, depression in teens can cause significant distress and problems at school or home, in social activities or other areas of life. Is there hope? Are there depression treatments that don’t include drugs? One of the most effective drug-free, non-addictive depression treatments is the Alpha-Stim. It is a small, FDA cleared, prescription device that uses cranial electrotherapy stimulation (CES) to treat depression. To understand how Alpha-Stim works, remember that your brain is one big electrical circuit board. 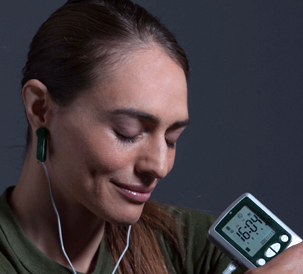 Alpha-Stim uses a unique, patented waveform proven to restore balance to your mind and body. It is the most researched and proven CES device. The waveform is transmitted through small clips that attach to your earlobes. They send a microcurrent through the brainstem, targeting certain groups of nerve cells. It is non-invasive, not at all painful, and you can use it in the comfort and privacy of your own home. Your moods and emotions are controlled through electrochemical signals in your brain. When these signals aren’t functioning properly, the hormones and neurotransmitters that regulate your emotions can become unbalanced. By modulating the brain’s electrochemical signals, you can safely and effectively improve your mood and experience better sleep. By wearing earclips for 20-60 minutes per day, most users notice some improvement after just 1-3 weeks of depression treatment. 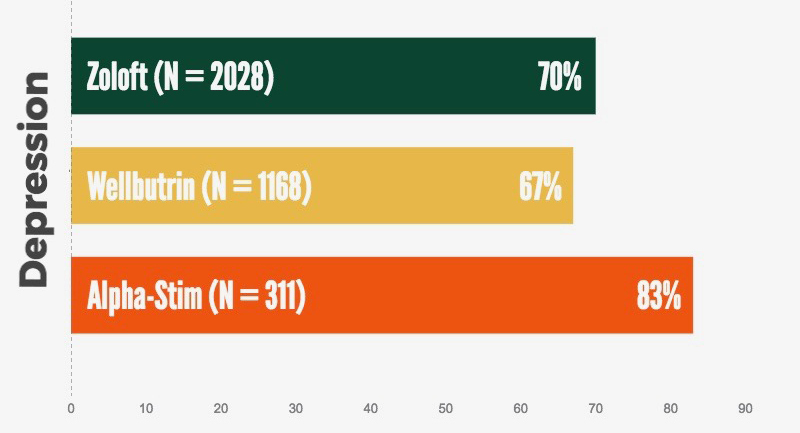 Alpha-Stim’s effect is cumulative, meaning each therapy session is potentially more and more effective—so it won’t lose its effect over time, as with many medications. Alpha-Stim electrotherapy for depresssion is designed to help you avoid or reduce the need for medications, but it is safe to use in conjunction with prescriptions or over-the-counter medications. Words fall short in expressing the depth of gratitude I feel toward such an effective treatment available for people, like me, who have suffered from depression and anxiety. My observation is that Alpha-Stim therapy is as robust as medication treatment; the amazing thing is that there really are no side effects. Since the Pentagon attack on September 11, 2001, I’ve suffered from anxiety, depression, and insomnia that have made it difficult to function. I now use Alpha-Stim daily, and my life has definitely become more manageable. Alpha-Stim has helped me immeasurably; my mood is balanced, and I don’t know what I would have done without it. After 3 months, I feel like a new person. I would recommend Alpha-Stim to anyone suffering from depression or anxiety. I have been lighthearted and happy …the depression and anxiety are next to nil. About 4 years ago, a doctor introduced me to Alpha-Stim. It has absolutely changed my life, and has allowed me to treat my depression without any medications. The effects seem absolutely natural. I have been using the Alpha-Stim for treatment of insomnia and depression. The change in how I feel is amazing; it is like a miracle. I have been using Alpha-Stim for 9 weeks for depression and anxiety. I have noticed a definite improvement in my mood…I laugh more and am more relaxed.